When it comes to breakfast time, I try to be anything but foolish, and I want to send our child off to school with a full stomach, so he can stay focused and WISE! During the week, I’m happy to turn to my good friend from the freezer Jimmy Dean for delicious and easy breakfast options! 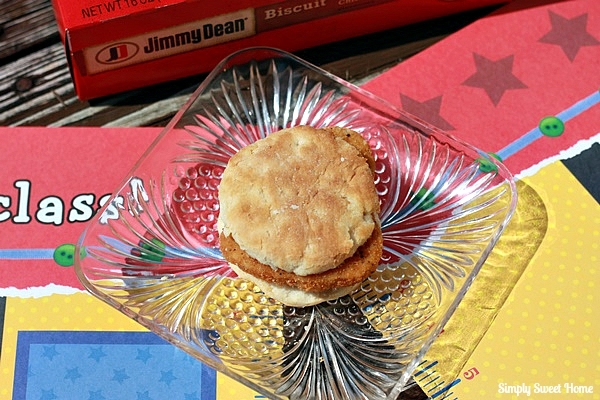 I grew up eating the Jimmy Dean sausage biscuits that came two to a pack. Did anyone else eat those? I still buy those to this day, because Noah loves them for breakfast. 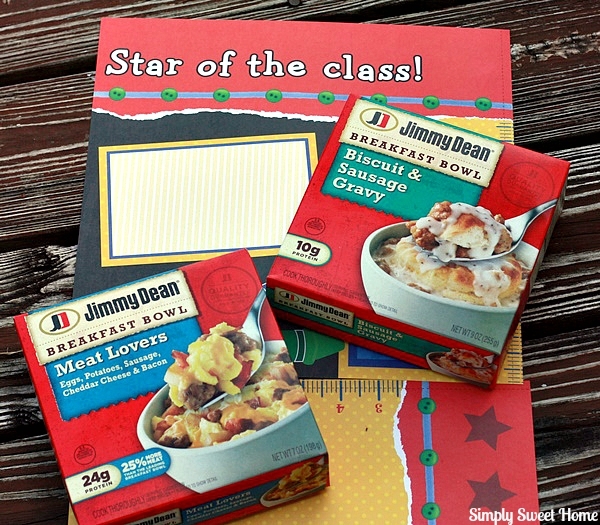 But nowadays Jimmy Dean has SO MANY other great products too! I recently shopped at Publix, where I picked up a box of Jimmy Dean Bacon, Egg & Cheese Biscuits and Southern Style Chicken Biscuits. If you want to serve your kids a hot breakfast in the morning, but don’t have time to go all out with home cooking, this is definitely the next best thing! These breakfast sandwiches are delicious! They are also a great size for an individual portion, and the price is unbeatable! It’s also very easy to customize and make these biscuits your own. For example, Noah loves mustard on his sausage biscuit, and I like to have mayo on my chicken biscuit. It’s also a great choice for us, because we often find ourselves in a rush in the mornings. Sometimes Noah has a hard time getting up and going, and to be quite honest, sometimes I run a little slow in the mornings as well! This makes Jimmy Dean breakfasts a life saver! 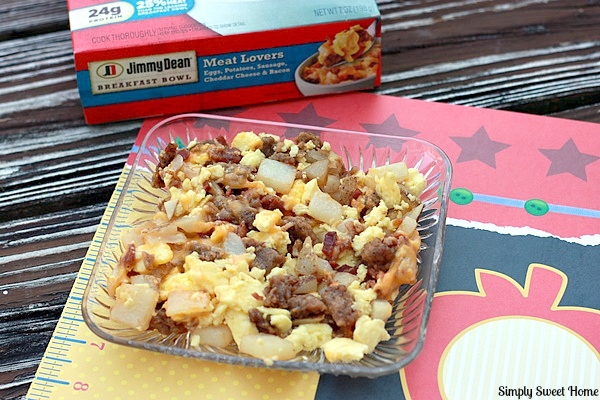 Jimmy Dean also offers a variety of Breakfast Bowls. I’m IN LOVE with these! My personal favorite is the Meat Lovers Breakfast Bowl. It includes eggs, sausage, bacon, potatoes, and cheese! It’s so tasty, it’s hard to believe, it’s not homemade! The Bacon Bowl is also a favorite of mine, and Noah’s favorite is the Biscuit & Sausage Gravy. It has a single biscuit with sausage gravy on top. Yum! You can also get creative with your breakfast bowls by adding mix-ins like extra cheese and bacon bits or healthy vegetables like chopped peppers and mushrooms! And if you’re teen is really pressed for time, Jimmy Dean breakfast sandwiches and breakfast bowls are very portable! They are great to take in the car and eat on the way to school or send to school with your child if a microwave is available there for cooking. With easy breakfast options on hand and the most important meal of the day taken care of, the mornings will definitely be more pleasant. I can get through my day, knowing that HIS day started out with a good breakfast, and I can focus on other items from my daily to-do lists! 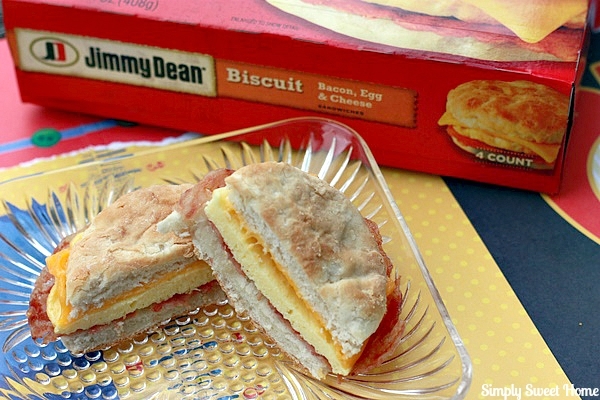 Do you love Jimmy Dean? 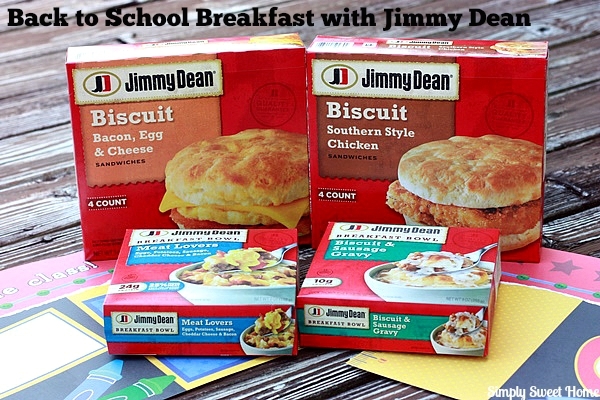 What’s your favorite Jimmy Dean breakfast item? Please let us know by commenting on this post.